This is an exciting time for the science of neurology and brain study. We have learned more about the brain in the last five years than in the five thousand years previous. Recent advances in brain-imaging technology have given us some incredible tools for studying this most complex structure in the known universe. 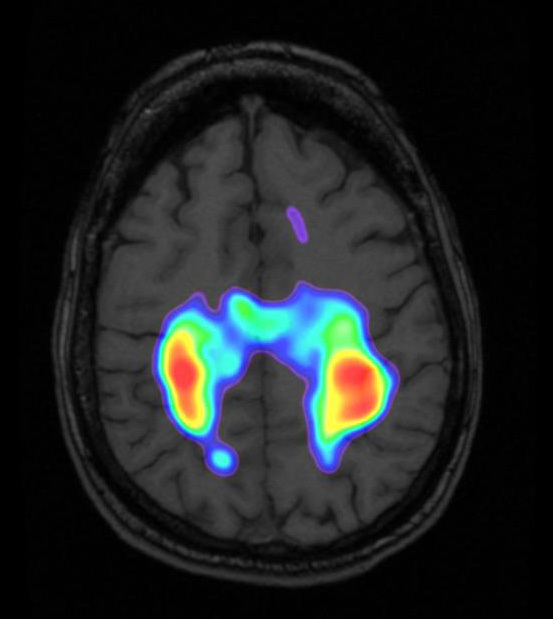 Tools like functional magnetic resonance imaging (fMRI), the electroencephalogram (EEG), single-photon emission computerized tomography (SPECT) scan, computerized tomography (CT) scan and positron emission tomography (PET) scan. These special tools allow us to watch electrical activity and blood flow in the brain as it responds to different stimuli and situations. Patricia Derrick, inventor of Brainpaths ®, took advantage of the latest scientific findings to develop a tool for the direct stimulation of the brain. Brainpaths® is patented and is listed by the FDA as a neurological medical device. A fMRI image showing the effect of tracing Brainpaths on the somatosensory cortex. Brainpaths® is a unique concept. It is based on the fact that each of our fingertips contain more than 3000 nerve receptors that connect directly to our brains. 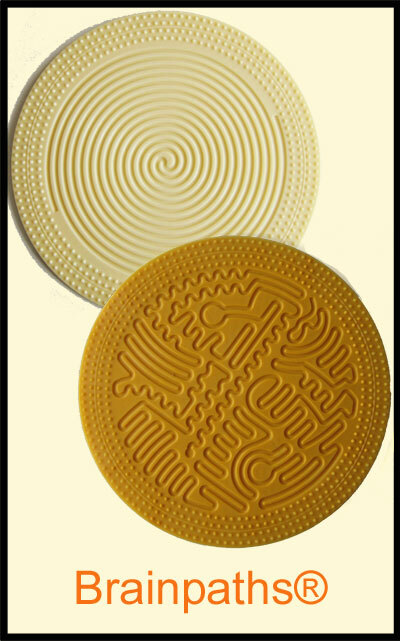 As the grooves in the discs are traced repeatedly with the fingers, those receptors send messages to the somatosensory cortex in the parietal lobe of the brain. The somatosensory cortex processes signals coming in from all parts of the body to create “touch” perceptions. The image at the right is an actual fMRI image that was taken while the brain’s owner was enjoying the benefits of her Brainpaths device. The red and yellow in the image indicate brain activity. As the video (above) indicates, the brain activity is in the region of the somatosensory and motor cortices. Sensory Stimulation is Brain Stimulation! Be sure to watch the video (above) for a more complete analysis of just what is happening in the brain as a result of stimulating the fingertips. Until recently the adult brain was thought to be relatively static. Immutable. We as adults could learn things, but the brain didn’t change appreciably. Some new discoveries have changed the way we think about that. We now know that the brain does change and reorganize itself, that it can actually increase in mass depending on need and use. This phenomenon by which the brain adapts is called plasticity, or brain plasticity. The fact that the brain can actually produce new brain cells is called neurogenesis. (“Brain plasticity” is often used to label both of these changes in the brain.) Brain plasticity and neurogenesis are a couple of the most exciting new areas in neuroscience. 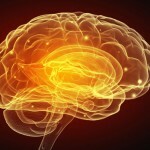 Brain plasticity and the growth of brain cells are fueled by how the brain is stimulated. This became evident when researchers compared the brains of London cabbies (London’s famous Black Cabbies) to the brains of their counterparts who drove busses in the same city. London is a sprawling metropolis that evolved over a span of two millennia. Without a plan. London is one of the most difficult places in the world to navigate. It requires extraordinary feats of memory and spatial mapping skills on the part of those cab drivers to determine the best way to get from one place to another. The London busses, on the other hand, follow the same route every day. Very little burden on the brains of the bus drivers. Now, the part of the brain that is primarily responsible for memory and spatial orientation is the hippocampus. (Read more here!) When the investigators looked at the brains of the two groups they got a surprise. Parts of the hippocampus were larger in the brains of the Black Cabbies than in the bus drivers brains! The only possible explanation is the effort required to navigate the city day after day made the cabbies brains grow. 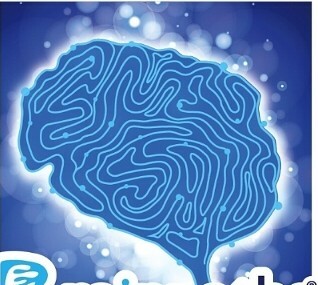 Brainpaths® are based on these concepts of brain plasticity and neurogenesis. The 3000 nerve endings in each of our fingertips make our hands one of the most sensitive parts of our bodies. Brainpaths® provides a direct connection from the fingers to the brain. Sensory Stimulation is Brain Stimulation. This simple device is one of the most effective (and most affordable) ways to get the many benefits of sensory stimulation. Sensory stimulation like that provided by this device is known to moderate mood; to decrease agitation and anxiety, and to contribute to a sense of well being1,2,3. At least one published study¹ reported increased communication and social engagement in those with dementia who participated in the study. Appropriate sensory stimulation can even enhance memory and cognition. Some researchers² suggest that stimulating the senses can even decrease the need for drugs to control certain behaviors. Burns, A., Byrne, J., Ballard, C., & Holmes, C. (2002). 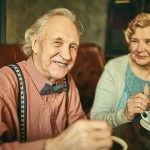 Sensory stimulation in dementia : An effective option for managing behavioural problems. BMJ : British Medical Journal, 325(7376), 1312–1313. Brainpaths® provides a direct connection from the fingertips to the brain. Sensory Stimulation is Brain Stimulation.